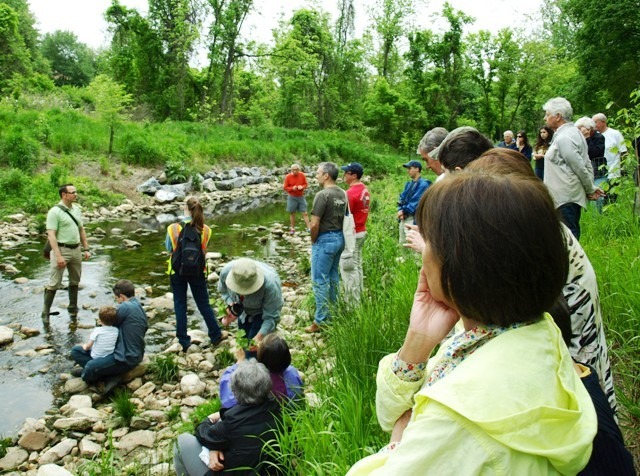 As a Stream Steward, I was able to take part in the celebration of the restoration of Lower Booze Creek, along with others in the community. There was a lot to celebrate too. Pictures on display showed that before the restoration, there was exposed piping, and lot’s of obvious erosion along the banks. Now the creek looks awesome. At first, we did biological monitoring of the stream. Then we went on a stream field walk with some of the engineers, biologists and stream restoration experts involved in the project, to hear about and see the changes made. DEP biologist Kenny Mack showing the types of fish that can be found in Montgomery County streams. 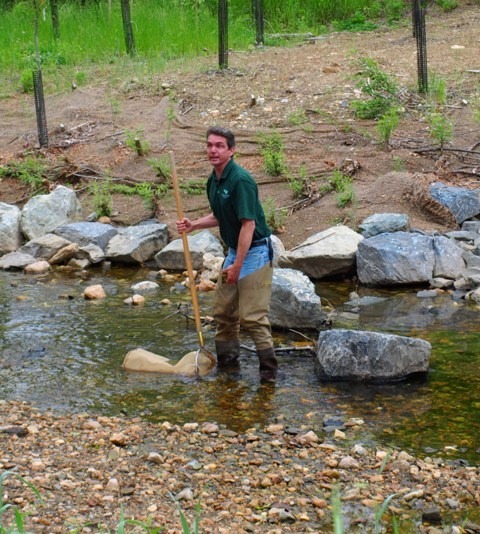 DEP biologist Mark Rockman samples Booze Creek for macro-invertebrates. 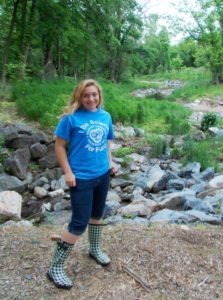 Thousands of trees, grass and bushes were planted alongside the riverbed. Many rocks were added to the creek to aerate the water for the aquatic life as fish and macro invertebrates are an important part of the creek, and even more will come now. A biodegradable mesh was put down to protect the seeds and help them take root. Even the stream was reshaped! 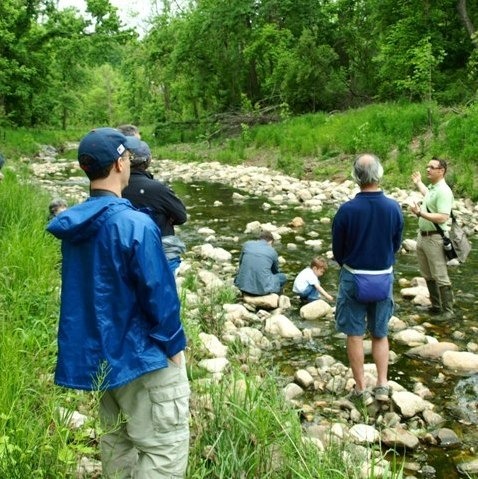 DEP engineer, Mark Wilcox, leading a stream hike along Booze Creek. Mark explaining the importance of rocks and shallow habitat to stream wildlife. You could tell the extensive time and effort taken by everyone involved. 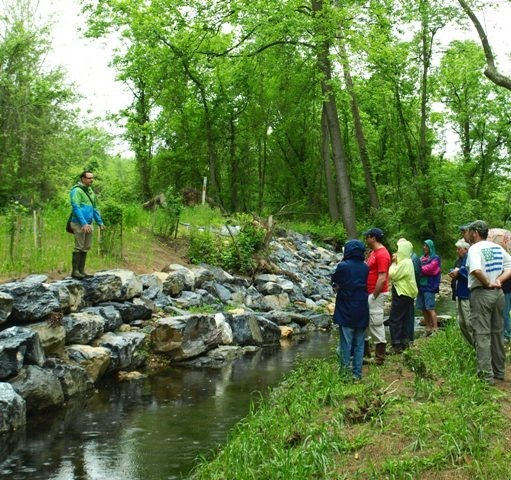 Many participants commented that they had no idea regarding everything done to restore the creek. This will have a positive impact, not just on the creek, but on the whole watershed as it will reduce storm runoff and it’s pollution. Mark showing how the rock wall helps reinforce the stream bank and protect underground pipes. 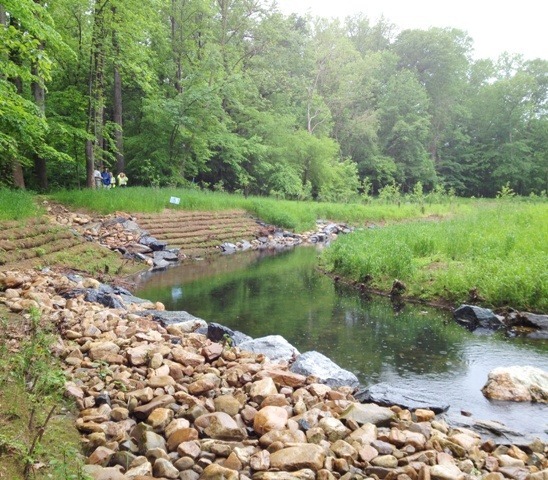 One section of the Lower Booze Creek restoration. 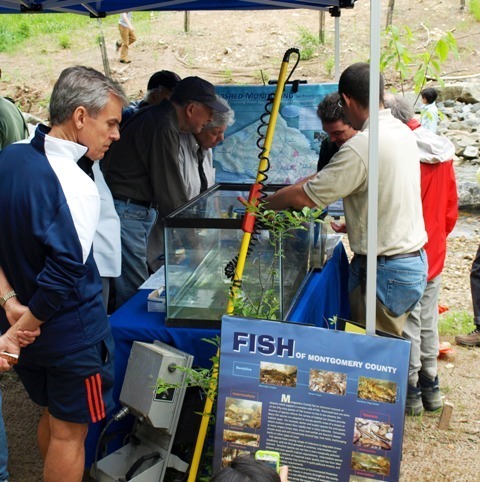 More photos of the Lower Booze Creek restoration celebration can be seen on the My Green Montgomery Facebook page.